The packaging that accompanies a product can make or break your perception of that product. An interesting package makes the item so much more inviting – and when the package is great, the product doesn’t need a ton of ugly words or visually assaulting graphics. 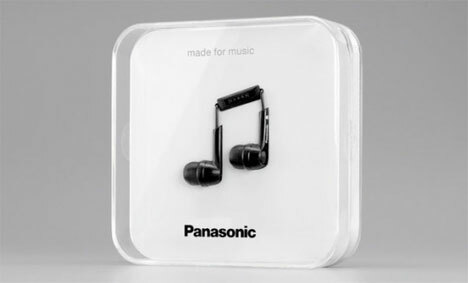 Panasonic gets it. 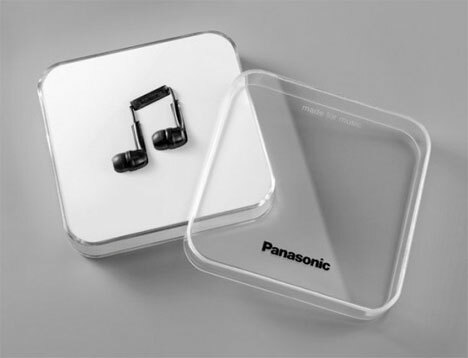 That’s why their Note headphones use this clear acrylic package designed by Scholz & Friends. 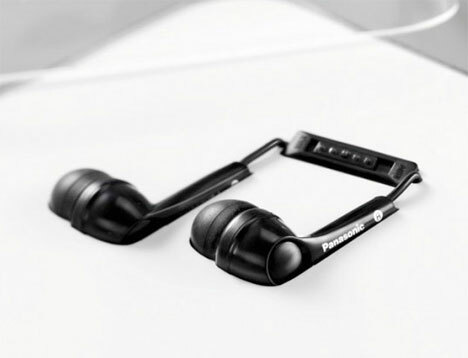 The earbuds inside the transparent box are arranged to resemble a musical note, making it possible to leave the box itself simple and almost completely plain. Imagine walking into an electronics store to pick out a new set of earbuds and being greeted by a huge wall of candidates. Would you be more likely to reach for the brightly-colored package with an overpowering amount of pictures and words on the box…or this simple and elegant arrangement? The uncomplicated design works so well because it is so different from the needlessly loud packaging that many electronics come in. See more in Industrial Design or under Technology. September, 2010.